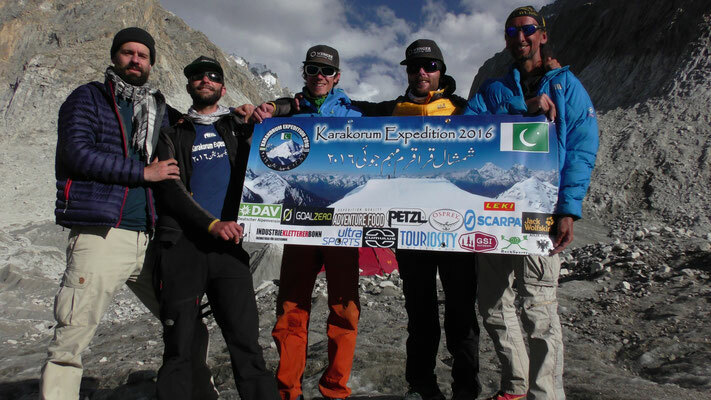 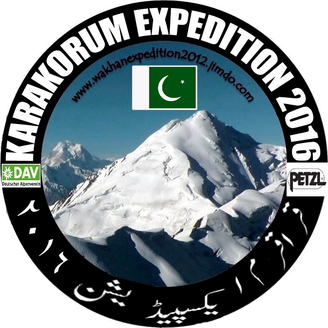 First video from Pakistan is online: - wakhanexpedition2012s Jimdo-Page! 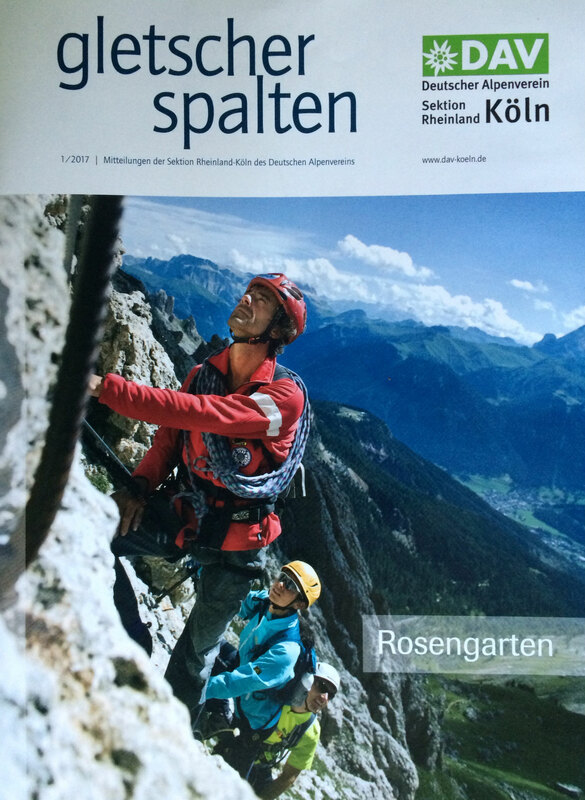 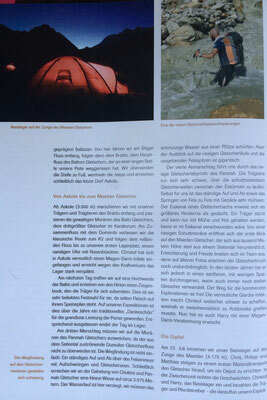 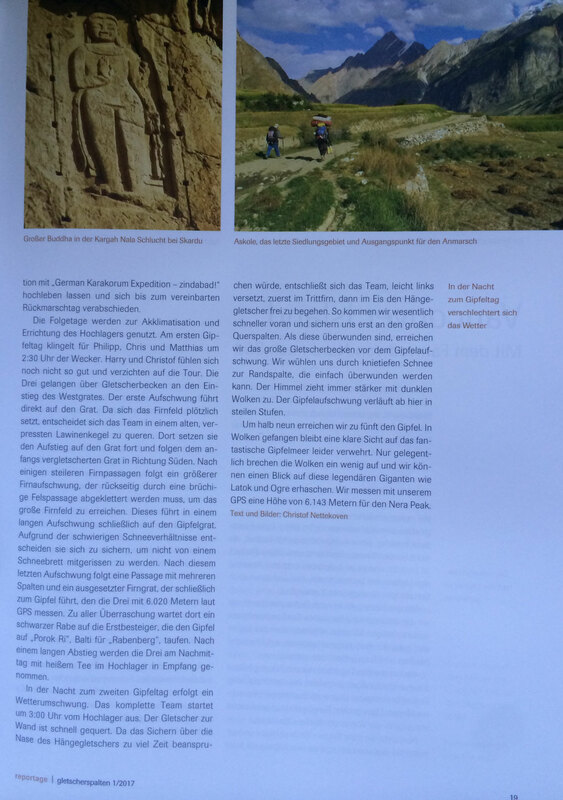 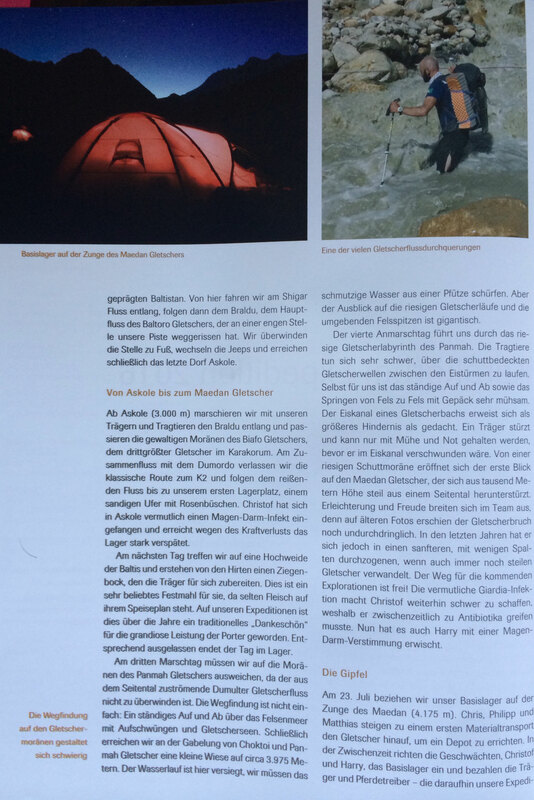 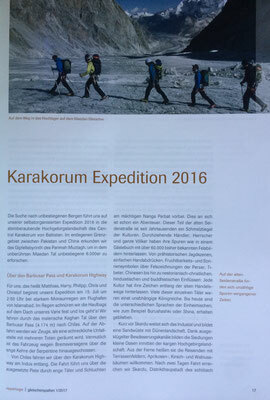 The German Alpine Club DAV published our Expedition Report 2016. 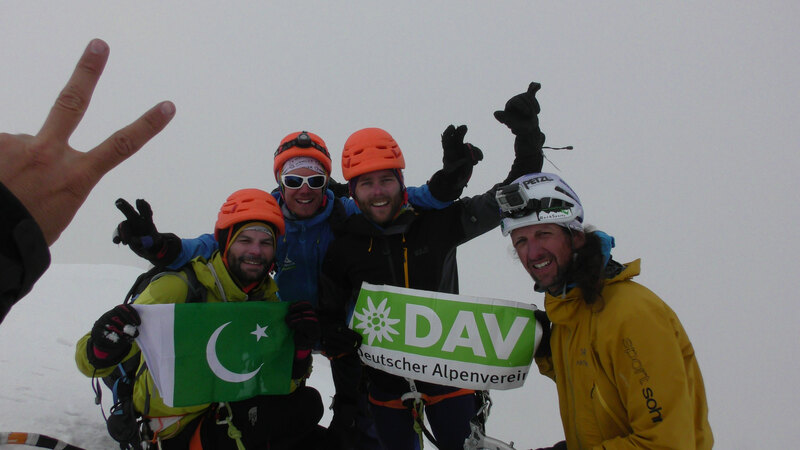 Thanks to the official support by the DAV we received a great contribution to our expedition to Baltistan, exploring pristine Maedan Valley and its nameless & unclimbed 6.000ers - with two first ascents! 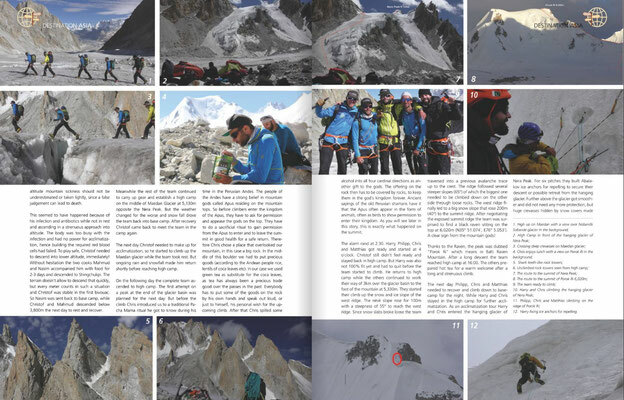 With our explorations in untouched side valleys and glacier areas with many future expedition targets for generations of climbers to come, we want to give back as much as possible. Read our report and interview and the section of further tour suggestions to find out more about possible targets of unclimbed peaks for your future expedition. "Unclimbed beauties! 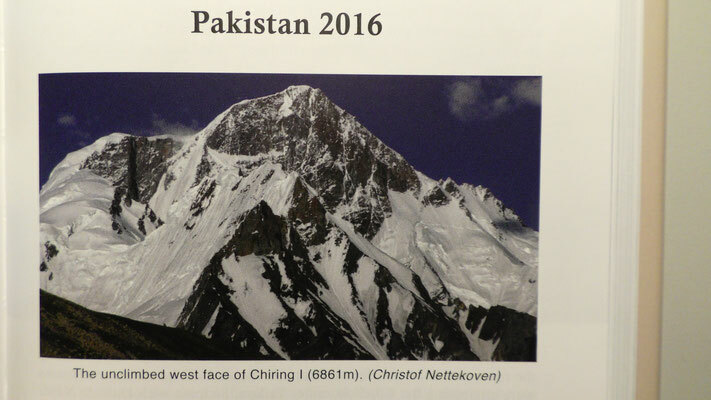 A German Alpine Club (DAV) expedition to a remote glacier in Pakistan this summer made two first ascents and came away with photos of many unclimbed and beautiful objectives. 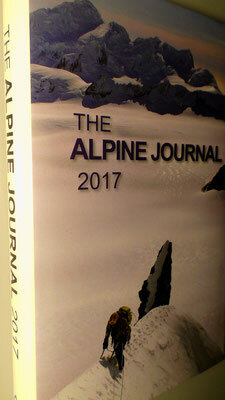 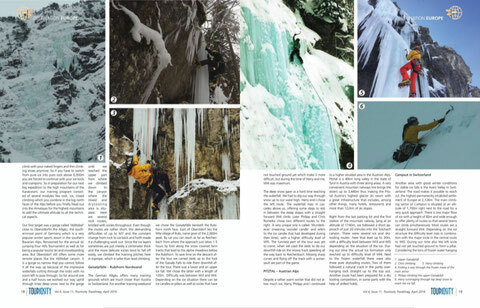 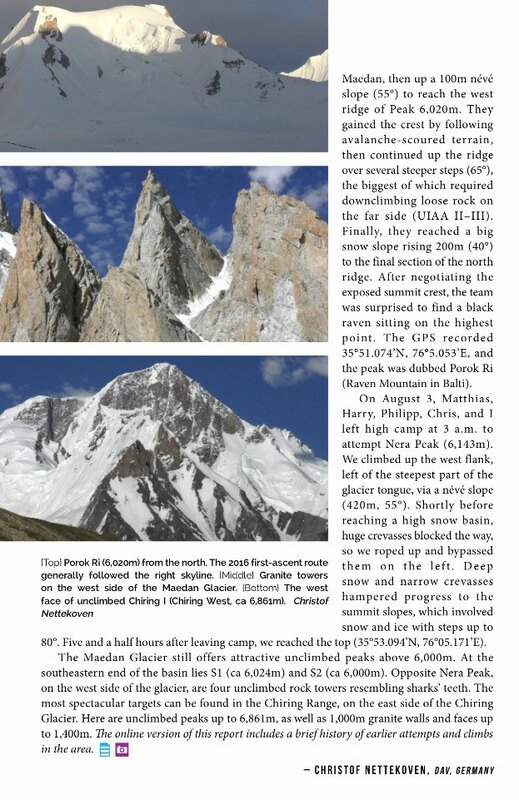 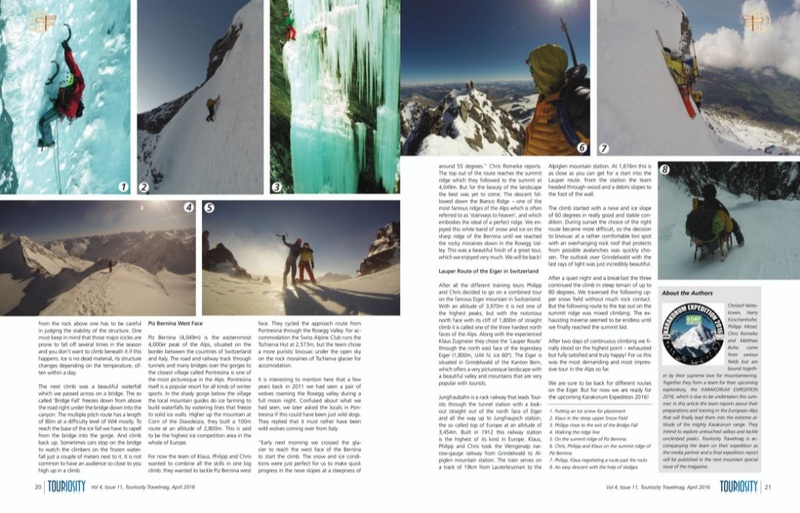 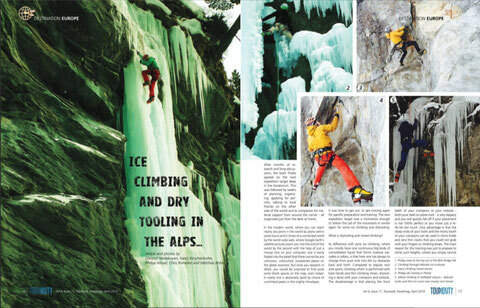 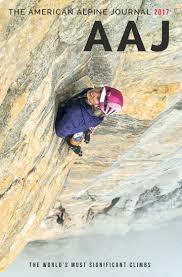 Feast your eyes....http://bit.ly/2d3RePV"
Published since 1929, the American Alpine Journal (AAJ) is renowned as the most comprehensive worldwide source of information on major new climbs. The 400-page book and frequently updated website document each year’s biggest new routes and wildest exploration in hundreds of first-person reports. 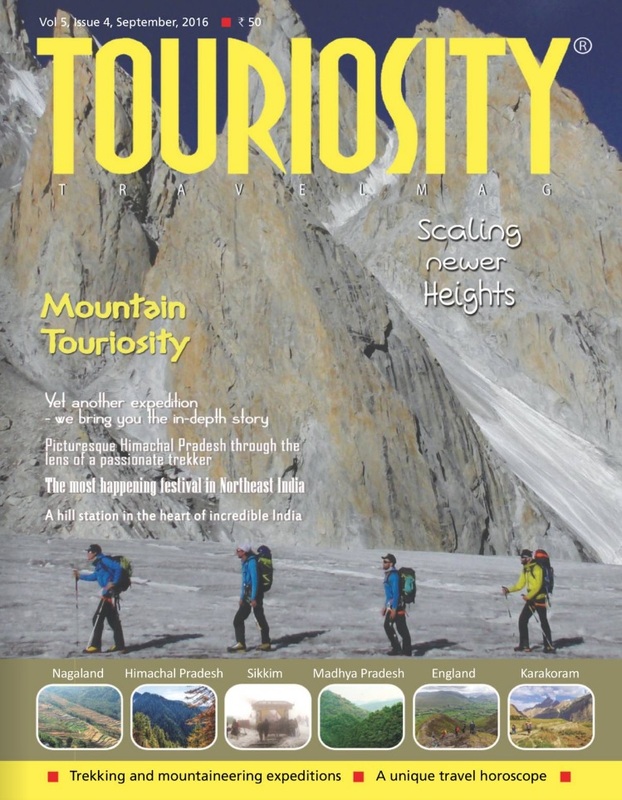 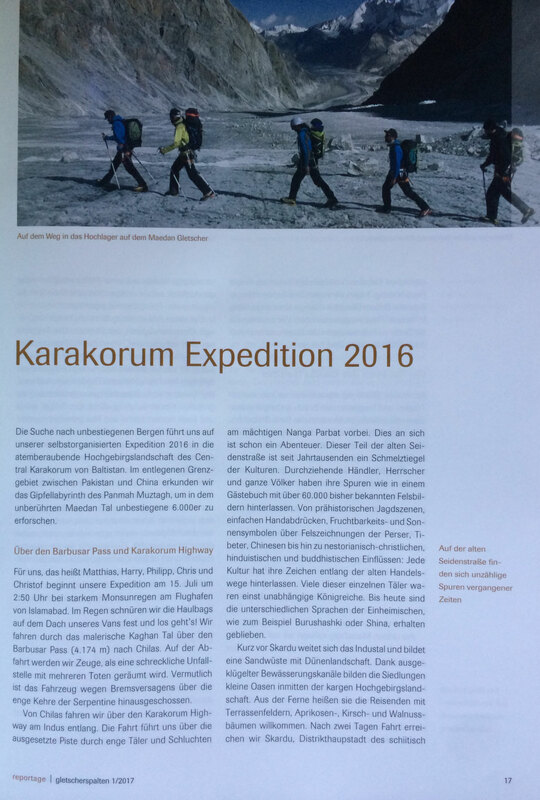 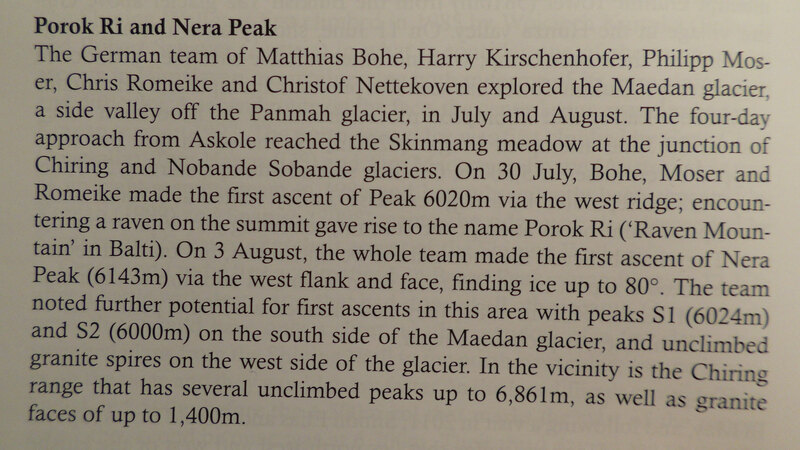 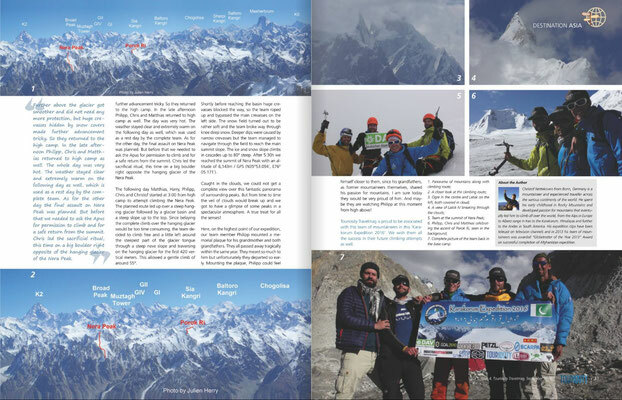 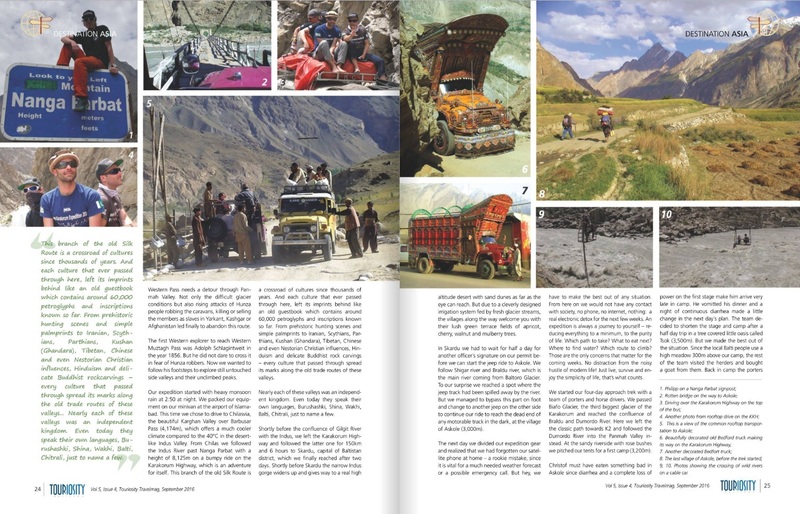 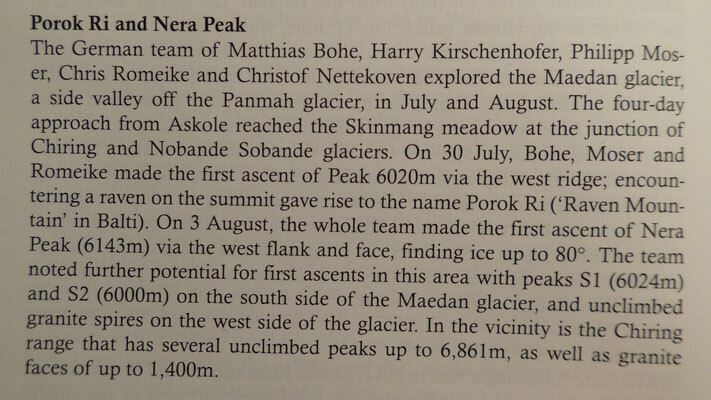 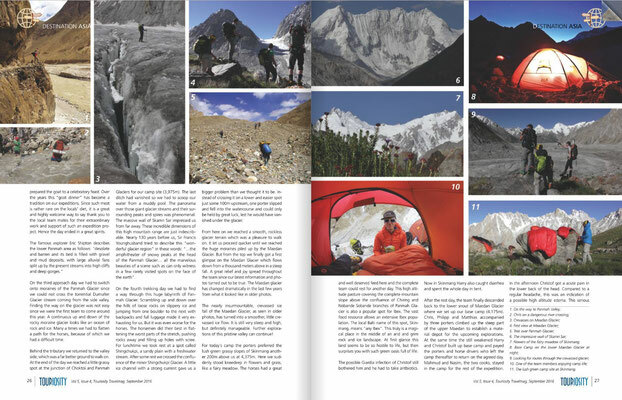 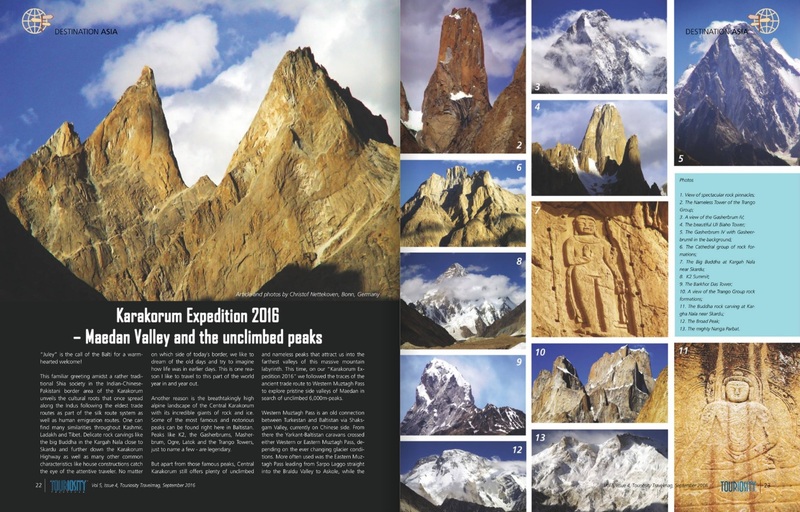 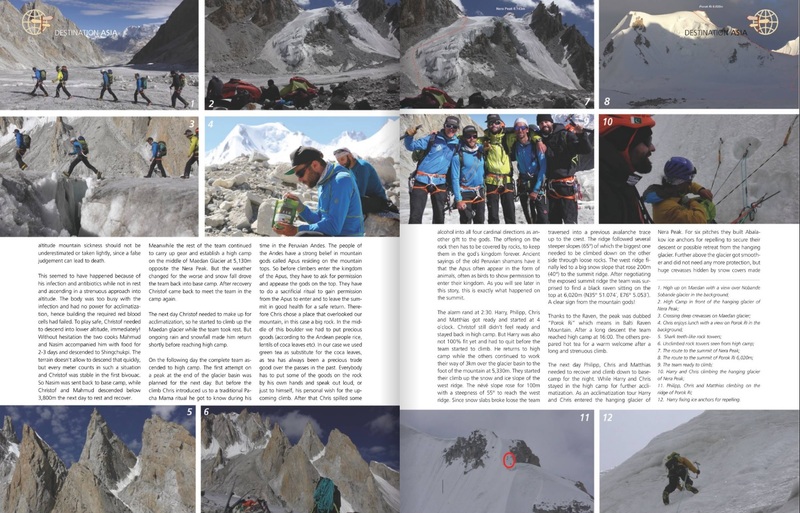 PANORAMA Magazine of the German Alpine Club (DAV) reports in their December print issue 6/2016 about our recent Karakorum Expedition. 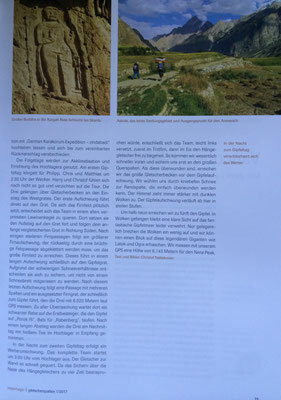 Take a look at the Online issue, page 29. 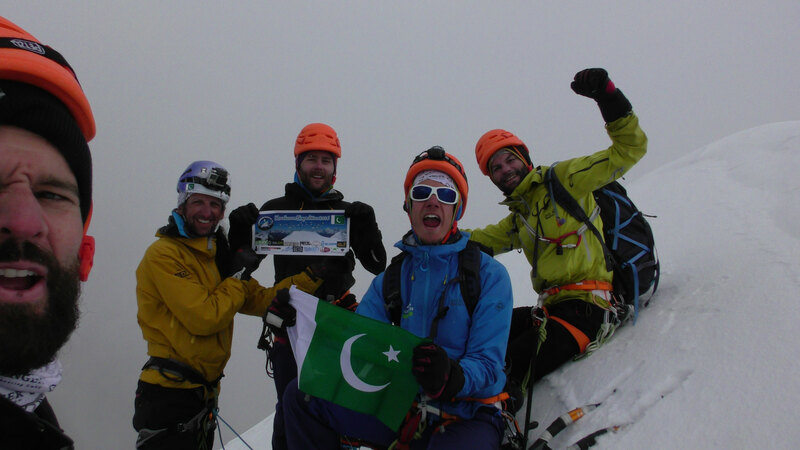 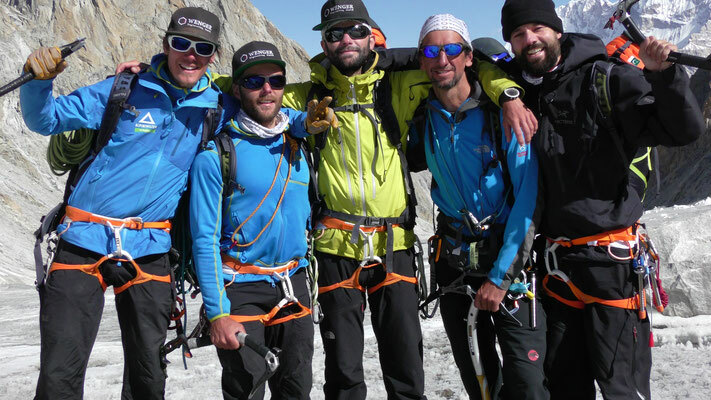 The Team just returned from Pakistan with two successful first ascents!